Putin's troops protest with low-power nuclear weapons: the US needs explanations. US Secretary of State called on the Russian Federation to release Sentsov and all Ukrainian political prisoners. The next Manawort trial will represent 1,500 proofs. Ukraine agrees with the US on the free transfer of patrol boats. Do not confuse US domestic policy with international: Volker warned Ukraine against politicization of Manafort's case. US sanctions against Russia for using chemical weapons have come into force. British fighter aircraft for the third time in the week rose to intercept Russian planes over the Black Sea. Russia accuses Great Britain of provoking an interception of a military aircraft over the Black Sea. 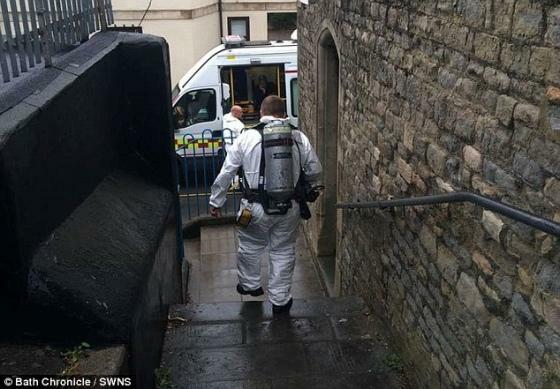 The British police have announced a new poisoning with an unknown chemical. Tymoshenko has headed the fresh rating of presidential candidates: poll results. Russia is preparing to stifle Ukraine. The memory of John McCain is honored in Kyiv. The US does not plan to support any of the candidates for the presidency of Ukraine. Russian hackers Fancy Bear attacked Ecumenical Patriarch Bartholomew. The flow of foreign tourists to Kiev has grown to a record level: over half a year in 2018 - more than 850 thousand. About 200 Russian Jehovah's Witnesses asked for asylum in Finland. From September 11 to September 15, Russia, China and Mongolia will train "East-18", during which they intend to simulate a nuclear attack. This is written by "Voice of America". As it became known, China will send over 3,200 military and 900 units of military equipment, as well as 30 aircraft. Meanwhile, such training with the use of new low-power nuclear weapons is not a joke embarrassed by the Pentagon, which requires explanations from Russia. "We call on Russia to take steps to provide information on these exercises and operations in Europe, to clearly explain its intentions and minimize the risk of misunderstandings," said Eric Pegon, spokesman for the Pentagon. He warned that the US intelligence intends to closely monitor the training, given the preparations for the simulation of the use of nuclear weapons. Chief Researcher at the International Assessment and Strategy Center, Rick Fisher, told The Washington Free Beacon that Russia has been practicing the "doctrine" of escalation for the sake of de-escalation for the last 20 years using a new low-power nuclear weapon that can basically launch artillery." He notes that, in spite of Washington's concerns about Russia's nuclear doctrine, the US is also concerned about the fact that training will allow Chinese military "to study the modern tactics of the combined war on which China's armed forces are now focusing on preparing for the war against Taiwan and the United States." US Secretary of State Mike Pompeo has discussed with Russian Foreign Minister Sergei Lavrov the issue of the release of Ukrainian political prisoners, including director Oleg Sentsov. It is reported by the press service of the US Embassy in Ukraine. "The Secretary of State expressed concern about the health of Sentsov and called on Russia to release Sentsov and all Ukrainian political prisoners," the statement reads. Oleg Sentsov's mother Lyudmila wrote to Putin for a son 's pardon on July 13. Read the full text of Ludmila Sentsova's appeal for Sentsov's pardon. #FreeSentsov: Read all statements and news about Sentsov. On July 5, his sister Natalia Kaplan visited his short-term date with Sentsov in the "White Bear" colony in Labitnangi. This was the first meeting for 3 years. They spoke for two hours. At a subsequent trial of former Politologist Donald Trump Paul Manafort, he will present 1,500 evidence in a case about his lobbying activities, in particular, in Ukraine. This was reported by The Washington Post. The trial will begin on September 17 and will cover his political activities from 2006 to 2017, during which he probably received $30 million as a consultant for Ukrainian politicians. For the consideration of this case, the prosecutors are planning to call the three witnesses, who had previously appealed to the court in Manafort. As Tetyana Vorozhko, a journalist from the Ukrainian Voice of America community service, reported that 7 charges will be filed at the next stage of the trial in Manafort. They will refer to the fact that he did not register as a lobbyist who works for foreign interests, provided false testimony, pressured witnesses, and also laundered money. Vorozhko also noted that, according to American justice, the first trial of Manaforth ended quickly enough: it lasted three weeks. In the evening of August 21, a jury trial in the US city of Alexandria, Virginia, found Paul Manafort guilty of 8 charge points from 18. This was stated by Ambassador of Ukraine to the USA Valeriy Chalyy in a conversation with journalists at the Foreign Ministry. "The work is underway to transfer two large Island Island boats to strengthen the Armed Forces of Ukraine in the Black Sea and the Sea of ​​Azov," he said. Chaly did not specify the details of the expected agreement, but confirmed the previously announced in the media information that the technology will be transferred on a royalty-free basis. Previously, it was reported that Ukraine would have to pay for the transportation of boats that were used by the US Navy, and at the moment they were mothballed. Chalia also stressed that the United States is expecting not only requests for free weapon delivery from Ukraine - its sale is also important, and negotiations are under way, in particular regarding the sale of sniper rifles. He said this in an interview with the Ukrainian Voice of America service. "This issue is being used in political discussions in Ukraine, criticized by individuals, and not about the rule of law now and for the time being," said Volker. Answering the question whether Ukraine should be afraid to annoy President Donald Trump of an investigation into Manafort's activities in Ukraine, the Special Representative emphasized the importance of the rule of law and called for a distinction between domestic and international US policies. According to him, in the USA there is an internal political question about the political role of Manafort. "He was sentenced to bankruptcy and tax evasion (ed. ), A crime that he committed long before he began to play a part in Donald Trump's political campaign," Volker said. "The attention of the media has been hinted by this since he led the Trump campaign, which was a good opportunity for discussion in the United States," he added. "The rule of law is important in this country and we have seen the normal process of investigating his actions before joining the Trump campaign, the areas where he broke the law were found. A court was tried, he was found guilty of some of these allegations, and this is normal. "- said Volker. He urged Ukraine to give priority to the rule of law as well. Earlier, Prosecutor General Yuriy Lutsenko said that criminal proceedings were opened in Ukraine regarding alleged abuses of former state officials at the time of former President Viktor Yanukovych, who may be involved in the "Manafort case". -As reported, US Special Forces Prosecutor Robert Muller unveiled a list of over 500 material evidence that prosecution can use against Paul Manafort in court. -Manafort demanded to remove from his case his photographs with Viktor Yanukovych , made during his visit to Ukraine. -The Muller Investigative Group presented more than 300 documents that reveal details of Manafort's cooperation with the Party of Regions and the Opposition Bloc. -Muller stated that Manafort received more than $60 million for a political consultant in Ukraine. -An American court has shown a letter from Manafort to former head of the administration of former president of Ukraine Viktor Yanukovych Sergey Lyovochkin. -The jury recognized the guilt of Manafort in 8 episodes. United States sanctions against Russia for using chemical and biological weapons came into force on August 27. The status of the sanctions document on the site of the official magazine of the Federal Government of the United States changed to "published". In general, US sanctions relate to foreign aid, arms sales, financing for procurement of weapons, refusal to lend and export goods "sensitive" from the point of view of US national security. The sanctions are imposed in accordance with the 1991 Chemical and Biological Weapons Control Act. On August 24, the United States issued a list of sanctions against Russia through the use of chemical and biological weapons. Two "Typhoon" fighters flew from the airbase in Romania on August 25, when the Russian military transport aircraft "An-26" and then the anti-submarine "Be-12" were approaching the borders of this country. According to Cenzor.NET with reference to the site of the Royal Air Force, "Typhoons" accompanied the planes to leave the Romanian airspace. According to the Office, this is the third such incident over the past week: on August 22, two Typhoon fighters accompanied the Russian Su-30, and on August 23, the Be-12 amphibian aircraft. The British police sealed an apartment in Bat, where the body of a twenty-year-old boy was found. This is written by Daily Mail. Police who found the body complained of poor health after visiting the apartment, assuming that it could have been sprayed with an unknown chemical. After this the apartment was sealed by employees in special protective suits. Police said the incident was not at stake for the public. The overcrowding of the road near the house in the police explained the need to ensure the safety of the police, working on the scene. The death of a man in the police was called "incomprehensible". -As it was reported, on March 5, in the British city of Salisbury, former Russian intelligence officer Sergei Skripal and his daughter became ill in the shopping center, after which they were hospitalized with poisoning with an unknown substance. -After the poisoning of Violinist and his daughter, the head of the British government announced the deportation of 23 Russian diplomats. -Poland and a number of other EU countries announced the expulsion of Russian diplomats in connection with the poisoning of Sergei Skripal and his daughter. -In Russian intelligence, they said that the agents of the United States are guilty of poisoning the Violinists and Great Britain were to. -Julia Skripal was discharged from the hospital and taken to a secret place. On May 18, a former Russian spy Sergei Skripal was discharged from the hospital. The Russian Federation has accused the Royal Air Force of Great Britain of dangerous interception of military aircraft over the Black Sea for provocation. According to the Censor.NET, this is stated in a statement on the website of the Russian embassy in London. This message is the response of the spokesman of the Embassy to the media on a statement by the British Ministry of Defense on the "interception" of the Russian patrol aircraft over the Black Sea. Recall that the British Air Force Typhoon aircraft on August 23 and August 24 rose from the Mikhail Kogalnichanu airbase to support the Russian naval intelligence aircraft and two Su-30 fighters. "All the actions of the Russian armed forces are strictly in line with international law and do not pose any threat to Great Britain. It is still possible to understand when the Royal Navy accompanies Russian naval ships during the passage through the Channel, in close proximity to the British coast, although this is not required." but what threat to Great Britain or even its allies could at least theoretically carry a Russian patrol aircraft flying near the Russian coast at a distance of more than two thousand kilometers Eaters from the British Isles?" - says the statement of the Russian embassy. The diplomacy noted that this episode "perfectly illustrates the pernicious nature of the idea of ​​the deployment of the British Air Force and other NATO forces in Romania, Poland, and the Baltics." "Instead of strengthening someone's security, such a military presence is actually used by the British authorities to provoke itself, both verbally and painfully, and a real military one, which is simply dangerous," the report said. The rating of Ukraine's presidential candidates is headed by Yulia Tymoshenko, for which today about 18% of Ukrainians, who are ready to vote and decide on their choice, would cast their votes. This is evidenced by the data of a fresh sociological study of electoral feelings of Ukrainians, presented at a press conference by Seetarget . According to sociologists, the second place is Anatoly Gritsenko with 14%, in the third Yuriy Boyko with 11.2%. In the fourth place, Oleg Lyashko with 9.8%, while the current president, Petro Poroshenko, is only in fifth place in the rating, and 9.1% of the voters are ready to vote for him. As the director of the company Seetarget Alexei Borovsky noted, according to the research, the most urgent problem for the state, Ukrainians consider the military conflict in the East (77%). About half of respondents consider corruption and bribery of power to be one of the key issues. At the same time, 19% of respondents worry about unemployment, and 16% consider one of the main problems of insufficient level of social security. In the ranking of the most important personal problems, low salaries (52%), tariff increases (49%), price increases and inflation (45%) came first. The war in the East is considered to be an important personal problem by 25% of respondents. At the same time, according to expert of the portal "Word and Business" Valentine Gladkikh, the current survey showed that a significant part of Ukrainians (more than 30%) has not yet decided on their liking. Thus, according to the expert, one of the key features of the upcoming election campaign will be the struggle for this electorate. Another feature of the forthcoming campaign, according to Gladkyi, can be considered a significant number of so-called spoilers - candidates who go to the polls not for the sake of the president's office, but for other purposes: the consolidation of their electorate before the next parliamentary elections, the blurring of the electorate of ideological adversaries, and others. "If we analyze the research data, then we can talk about a large number of spoiler projects, and the closer to the election, the more and more they will blur the political fields of their opponents," - says the analyst "Word and Business." According to the American political scientist and political expert Jason Jay Smart, one of the important features of the election campaign, as the study showed, can also be considered as an extremely low level of trust of Ukrainian citizens to politicians in power and a request for new leaders. "Obviously, the Ukrainian population is showing great dissatisfaction - he wants new alternatives. Anti-rating indicators, in which leading politicians in the country lead, say that voters have lost faith in the ability of these people to change the situation - in the economy, in the struggle corruption, war issues ... These studies suggest the desire for change, the desire to get new leaders, so I think it's time now for the emergence of a new face in Ukraine, a younger candidate like Macrona who is younger, not so much on say ear, but will be able to offer something new", - said the American expert. Among the main requests for such a candidate, says Smart, will be his experience and a real plan for solving the problems of corruption and war in the Donbas. Seetarget's research took place from July 26 to August 17, 2018 by conducting personal interviews. The survey covers all territorial and administrative units of Ukraine (24 oblasts and Kyiv, except for the occupied Crimean Autonomous Republic, Donetsk and Luhansk Oblasts). A total of 2627 respondents were polled, the error of the study was no more than 1.92%. Russia does not intend to conduct a ground invasion of Ukraine, as it implements the Donbas's strangulation plan. Such an opinion was voiced by the president of the Jamestown Foundation in Washington, Glenn Howard, in an interview with the "Apostrophe". Speaking about the situation with Russia's blockade of the Azov Sea, he noted that all "very seriously". "I believe that the situation is very serious. Ukraine has already lost its Crimea, and now it risks completely losing control of the Sea of ​​Azov - I mean not military but commercial losses. If Ukraine remains without trade in steel from Mariupol it will become an" earthquake "for the economic system of Donbas. This is very serious, "he said. The expert notes that such developments could be predicted, but the Ukrainian authorities did not act for some reason. "Even a ten-year-old boy playing chess could have predicted that, building a Kerch bridge, Russia would try to close the strait. And what will happen next with the Ukrainian ships, trade through the Sea of ​​Azov? I call it the" strategy of blessing. "Ukraine in the situation with Azov Sea and the Kerch Strait was in the position of a victim, which is slowly killing", - the expert believes. He notes that Russia gradually implements the strategy of the land corridor. "With the closure of the Kerch Strait, trade in the Sea of ​​Azov will die, or Ukraine will have to fight, the Ministry of Defense, the military, and even the president of Ukraine do not understand this, and Ukraine needs a naval strategy - how to use the situation against Russia... This is an obvious problem: the state is not has no strategy for this situation,"- is indignant Howard. He emphasizes: "If Mariupol ceases to export steel through blockade and piracy at sea, trade will quickly die." "And if Mariupol can not exist as a port, Ukraine will lose the most important part of the Donbass economic system..." Howard convinced. At the same time, he emphasizes that Russia is not preparing a ground invasion, because it "works smarter." "Do you think they are preparing an invasion now?" No, as I said, their strategy is to get strangled, they try to stifle your commercial trade by the sea, without it the Donbass economic system will die. "I can not even imagine how it can be done. do not understand", - he concluded. On Monday, August 27, the laying of flowers will take place near the US Embassy in Ukraine on the street of aircraft designer Igor Sikorsky. This is stated in the Facebook event "Honoring the memory of John McCain John McCain", reports Censor.NET. The organizers do not specify the exact time of the beginning of the event. Recall that John McCain , a senator from Arizona, and presidential candidate in 2008, died on August 26 in the United States on the 82nd year of his life. In 2017, McCain was diagnosed with glioblastoma, a malignant tumor of the brain. Despite the disease, he continued to work in the Senate. The day before his death, the senator's relatives announced that he had decided to stop the treatment. Senator McCain, chairman of the Senate Armed Services Committee, consistently criticized US President Donald Trump's policy. In particular, he published a statement on the meeting of President Trump with Vladimir Putin in Helsinki,in which he stressed: "The press conference in Helsinki was one of the worst performances by the American president, it is difficult to calculate the losses caused by the president's naivete, egoism, false equivalence and sympathy for autocrats, but it is clear that the summit in Helsinki was a tragic mistake. it turns out not only not capable but also does not want to confront Putin. He and Putin seemed to speak in the same scenario that the president made a conscious choice to protect the tyrant from just questions of the free press and to give Putin no secret a hereditary platform for the eruption of propaganda and lies of the world." The United States does not plan to support either the current President of Petro Poroshenko or any other presidential candidate in the upcoming elections. This was stated at a meeting with journalists by the Ambassador of Ukraine to the United States Valery Chaly, the correspondent of Hromadskyi reports. "American power is a very broad concept. There are also different positions in the US. But today I know that no personal support from any of the candidates is being considered. I also know that political experts in America are questioned about various political forces and candidates for the presidency of Ukraine - as to how they will support the course of reforms and Euro-Atlantic cooperation, "said Chaly. At the same time, the ambassador added that it does not exclude the solidarity of American partners with candidates who will continue the current foreign policy course of the country. "I think that there will be no financial support or something like that, because it is a direct intervention in internal affairs. A solidarity, meeting or political support may be received by those who declare continuation of this course", - he said. Earlier, advisor to President Donald Trump said that the United States is ready to cooperate with Ukraine to prevent Russia from interfering in elections. On June 20, the leader of the "Fatherland" Yulia Tymoshenko announced her participation in the presidential elections in 2019. She said that in case of her election victory, she would hold a referendum to adopt a new constitution "to demonopolize power and make it stronger and more balanced". In March 2018, the deputy Nadiya Savchenko released a video announcing a possible participation in the presidential elections . According to a poll of citizens in April 2018, the presidential rating was headed by Yulia Tymoshenko . Then the leader of anti-rating became the current president, Petro Poroshenko. Russian hackers attempted to hack the e-mail of assistants to the Ecumenical Patriarch Bartholomew who are engaged in a Ukrainian application. This is reported by the agency The Associated Press, reports Censor.NET. Among the goals of Russian hackers was the environment of the Ecumenical Patriarch Bartholomew, who is often called the first among the equal Orthodox leaders. It is he who is currently considering an application from Kiev in Istanbul asking for the Ukrainian Church to be allowed out of control of the Moscow Patriarchate. Bartholomew himself does not use e-mail, but is actively used by his assistants whose accounts have undergone hacking attempts. All of them are in one way or another engaged in a Ukrainian application. The agency refers to almost 5,000 e-mail addresses, which, as proof, were provided by Secureworks. It is supposed that the cyberattacks were carried by a group of Fancy Bear, which the Special Prosecutor Robert Müller accused of interfering in American elections. The Russian Orthodox Church said that she knew nothing about the attack and refused to comment. The Russian officials only repeated the previous statements of the Kremlin that it was not related to Fancy Bear, despite all the new evidence of the opposite. Recall that on April 17, President of Ukraine Petro Poroshenko announced that he had decided to appeal to the Ecumenical Patriarch Bartholomew with a request to give Tomas to the Ukrainian Local Autocephalous Church. On April 18, he met with the primate of the Orthodox churches of Ukraine and officially accepted the transfer to the Ecumenical Patriarch Bartholomew of Appeal to give the Ukrainian church Tomas on autocephaly with the signatures of all the bishops who supported this decision. The Ukrainian Orthodox Church of the Kyiv Patriarchate urged the UOC-Moscow Patriarchate to support efforts for the canonical recognition of the Ecumenical Patriarch of Ukrainian Church Independence. For his part, the representative of the UOC-MP, deputy head of the Department of External Church Relations of the UOC Archpriest Nikolai Danilevich said that an attempt to create a Ukrainian national autocephalous church would not produce results. The capital of Ukraine expects this year more tourists than the peak in 2013, when many tourists went to Kiev after Euro-2012. According to Censor.NET, referring to UNIAN , the head of the department for tourism and promotions of the Kyiv city state administration Anton Taranenko said during a briefing. "This year we reached the mark of 2013. The peak of the tourist season in Ukraine fell to 2013. After the Euro-2012, the country and the city became the most popular among European tourists, and then a record number of foreign tourists was registered - 1 million 800 thousand foreigners and approximately 2.5 million domestic tourists. Now, in half a year in 2018, we have received more than 850 thousand foreign tourists, and for half of 2013 there were 660 thousand tourists, that is, we believe that this year we will either reach the indexes of 2013 or even make it. they are bigger, "Taranenko said. According to him, this summer has become a record for the flow of tourists over the past 4 years. "This summer hotels and accommodation establishments feel much better than in previous years, with average hotel occupancy rates of about 45-50% between May and September from May to September. Hostels and 3-star hotels are filled with approximately 90%, the occupancy of 4-star hotels it is 65-70% .5-star hotels, which in the capital of the six, are filled by an average of 50-55%, this is indicative of the recent years, we can state the fact that this year's tourists are much more", - said Taranenko. He noted that in September the traditional business travel season in Kyiv starts. "From May to October, traditional regular tourists will arrive, and from September to May travel business tourists," - explained the head of management. According to him, the greatest number of tourists is currently from Belarus, who travel through Kiev to the Black Sea coast - to the Zatoka, Odesa region, and Kherson region for rest. It is also noted that over the past year, the capital received almost 25 million USD tourist fee. This year, taking into account the increase in the flow of tourists, the city, according to Taranenko, expects to receive 30 million USD tourist fee. In 2017, the organization "Jehovah's Witnesses" recognized extremism in Russia, closed the headquarters of the organization in St. Petersburg, and then began to flee to Finland. "We realized that if we do not leave Russia now, then it will be too late," says Yuriy Sichov, who applied for asylum at the end of last year. Pisarenkov's couple together with their five-year-old daughter are in the center for reception of asylum seekers in Youtsen. "I had a prominent position in our ward, I was in charge of missionary work and was the oldest among the parishioners, therefore I felt constant threats." The authorities persecuted, first of all, the leaders, "said Oleg Pisarenko. The man who worked in the construction sector does not imagine that he can return to Russia. The wife of this idea is scary. "I'm afraid that when we get back, a man will be imprisoned and the child will be taken away," says Olena Pisarenko. The same concerns are also with another mother. "Children can take away, and the husband to plant," - notes Galina Sichova. Juh Simil, head of the Immigration Service, emphasizes that membership of the "Jehovah's Witnesses" automatically does not guarantee the provision of asylum in Finland. "We make decisions on an individual basis. We take into account the role played by this person in the organization, how prominent it was, whether it was subject to persecution or physical violence," he said. According to the press secretary of the Finnish "Jehovah's Witnesses" Weikko Leinonen, the laws are used to justify the persecution of members of the church. "Several houses were burned in. They broke into the premises where the services were carried out, they committed acts of vandalism, they forbade the gathering of religious events, the life of the believers became very difficult." At our first gathering in Youtsen, I was very scared when one of the men sang too loud. that there is no need to be afraid of anything,"- admitted Yuri Sichov. In 2017, Finland received 4,255 refugees.